Build their own data center either at their own premise or other place. Co-locate data center. Instead of building their own data center they just rent the space and facility (electrical and precision aircond) from a provider. They move IT equipment (servers, networking, storage) to the allocated space and remotely manage the resources. Implement Cloud. The end user rents compute resources and networking supplied by a provider. The provider will guarantee high availability with the Service Level Agreement (SLA). This is pay as you grow and use so it is entirely based operating expense (opex) and no capital expenditures (capex) for IT equipment and facility. If the end user will install their own OS and applications, the arrangement is called Infrastructure as a Service (IaaS). Other models are Platform as a Servce (PaaS) and Software as a Service (SaaS). Salesforce.com is a example of SaaS. If you only need web-based applications for short period of time (e.g. running a marketing campaign, special event), you may prefer to use cloud. If you have limited IT persons to handle your business applications (e.g. CRM, databases), you may also use cloud solutions. Companies that face limited facility persons to handle critical power (UPS, Genset, ATS, PDU/PMM), CRAC, Chiller, Pump, Cooling Tower, clean agent fire suppression, fire detection, security camera in the data center may just move their data center to co-location providers. 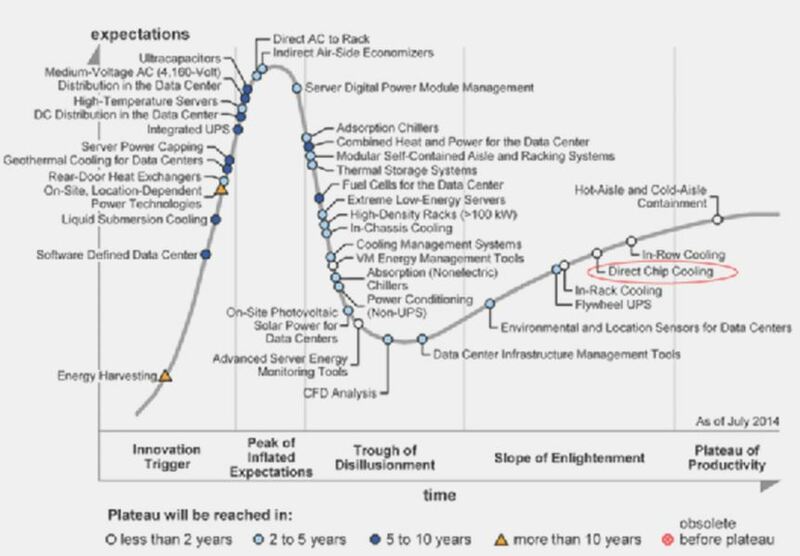 Below graph shows the Gartner hype cycle of Power & Cooling (as of Jul 2014). You can use it to make an informed decision based on your technology preferential profile (whether you are the type of early adopter, early majority, late majority, laggard). With ubiqutous solutions available in the market, you will be spoilt with many options. Whatever stage your company is in now and may want to change in the near future, we can provide you consultation services and manage the migration and implementation. Real Wish is a Singapore-based company, established since 2002, started as e-commerce business. Over the year we transform ourselves into Data Center consultancy in planning, design, operation, maintenance and energy audit. Our team has over 12 years experiences in supplying hardware, software, and services to many data centers in ASEAN region. We can help you to implement the best practices in data center that will help you reduce your opex and TCO and improve your sustainability and energy performance.